I've been so excited to write this post because as you know by now, I love to wax lyrical about Chanel!! I don't often write beauty posts but I am a huge fan of Chanel makeup, in fact most days it's all I wear! So when I received an email from Chanel Beauty a few weeks ago saying that they were about to launch twenty six new lipsticks on March 13th, I couldn't contain my excitement!! And the best part? They were also offering a free sample of some of the shades to try before you buy! I hot-footed it straight to Chanel to pick up my little starter kit, and booked my flash makeover appointment at Fenwicks knowing I'd definitely be wanting something from the selection! 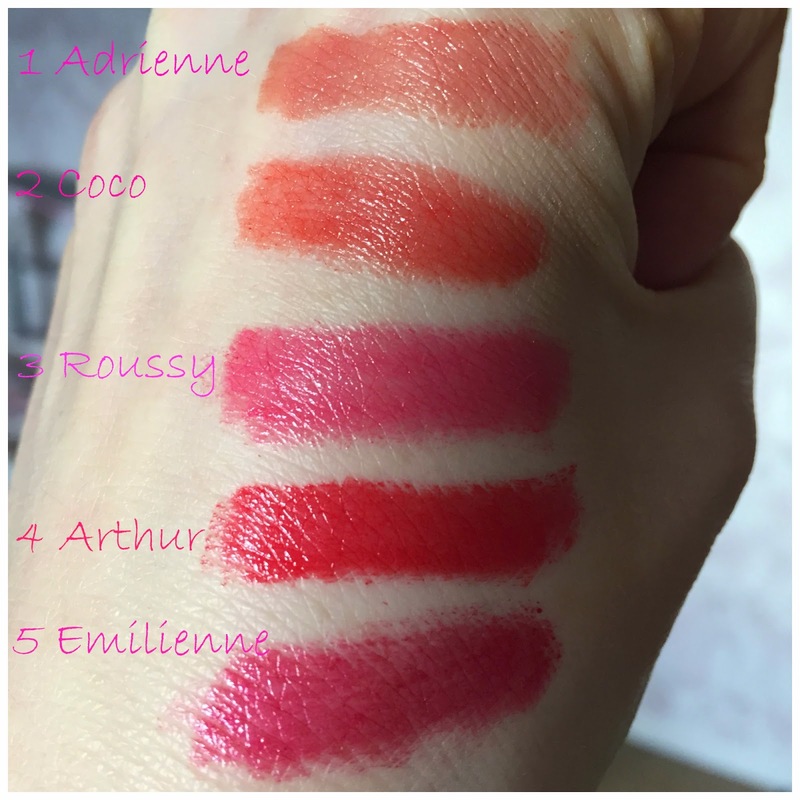 I always think it's easier to choose a lipstick when you see how it looks on a person away from harsh beauty hall lighting, so above I tried all of the lipsticks from the free sample pack which will hopefully help you in deciding which you prefer (or at least which colour route to choose!). My favourite from the sample pack is definitely Adrienne and I've already decided to purchase that one the next time I'm near a Chanel counter. I wasn't a fan of Coco as I felt it was too orange against my skin, but I did like Arthur and Roussy. Emilienne again I felt was a little too severe for my skin tone, but would probably work great as an evening colour. 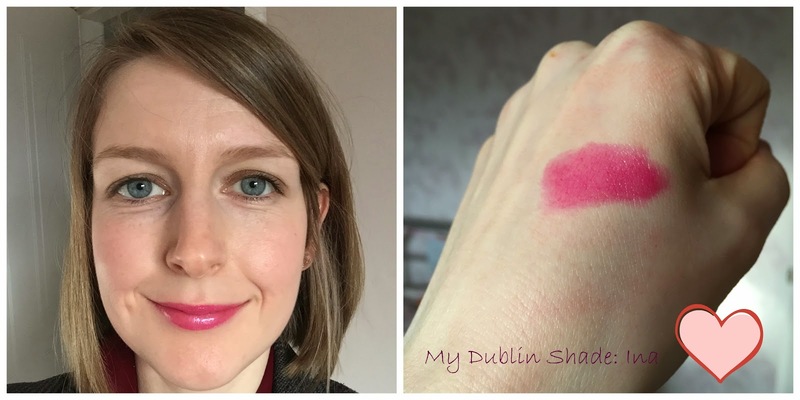 Either way I absolutely adore the colour and knew the second it was applied to my lips that it was the one for me! It was love at first swatch!! I am by no means a beauty expert, but I always find the staff at Chanel super helpful. I left with a bundle of free samples too; also great for taking to Dublin. I'm not really a foundation wearer, but I can't live without my Chanel CC cream. For those that are interested, the CC cream is about to be relaunched this coming Friday in a larger range of shades, so I left with the new number 20 to try, as well as a moisturiser and a sample bottle of my favourite Chanel fragrance Coco Madamoiselle! Thanks again to Alexa at Fenwicks for helping me to choose the right shade and for all of the extra goodies! Which shade would you go for? 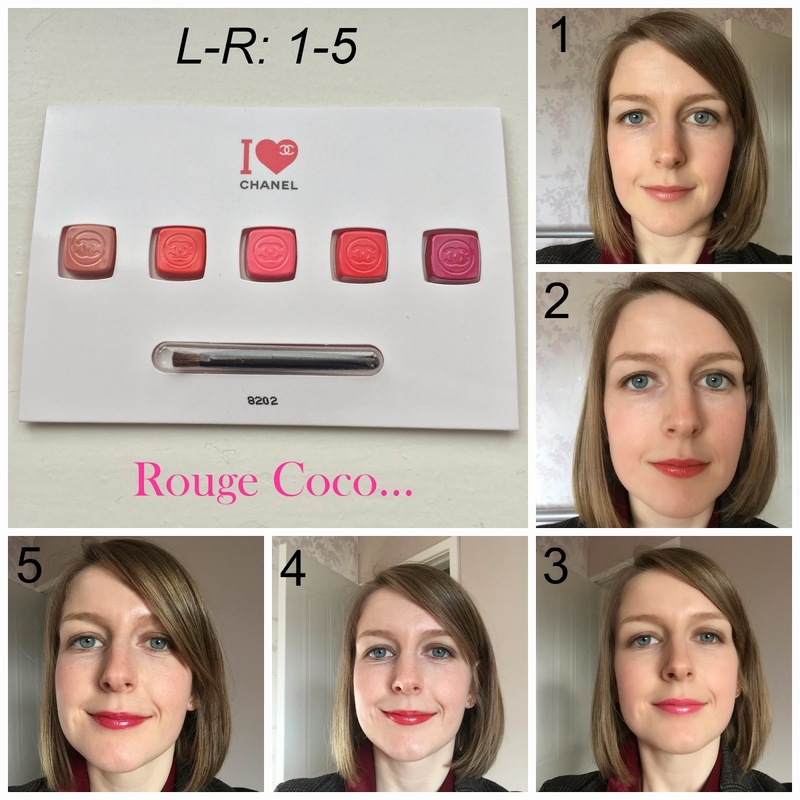 Find out more about Rouge Coco here! Adrienne is definitely my favourite of the bunch too! I'm yet to find a lip product I can get on with, no matter what I try I find that my lips dry out ... I'm very much a Vaseline girl! Lovely colours, they suit you so much! Oh my the number 3 looks lovely on you!